Celebrate solidarity and diversity this year, and draw a crowd to that celebration with the right event publicity. 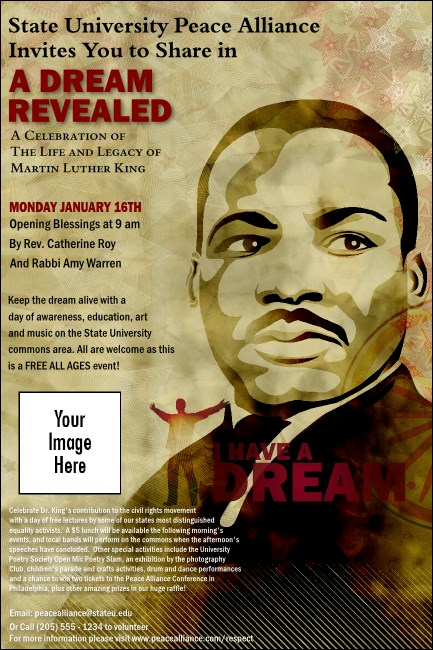 This Martin Luther King Poster features a portrait of the civil rights activist, the silhouette of a triumphant man, the legend, "I have a dream," and a star-spangled background, plus one image upload. Look to the future with TicketPrinting.com.